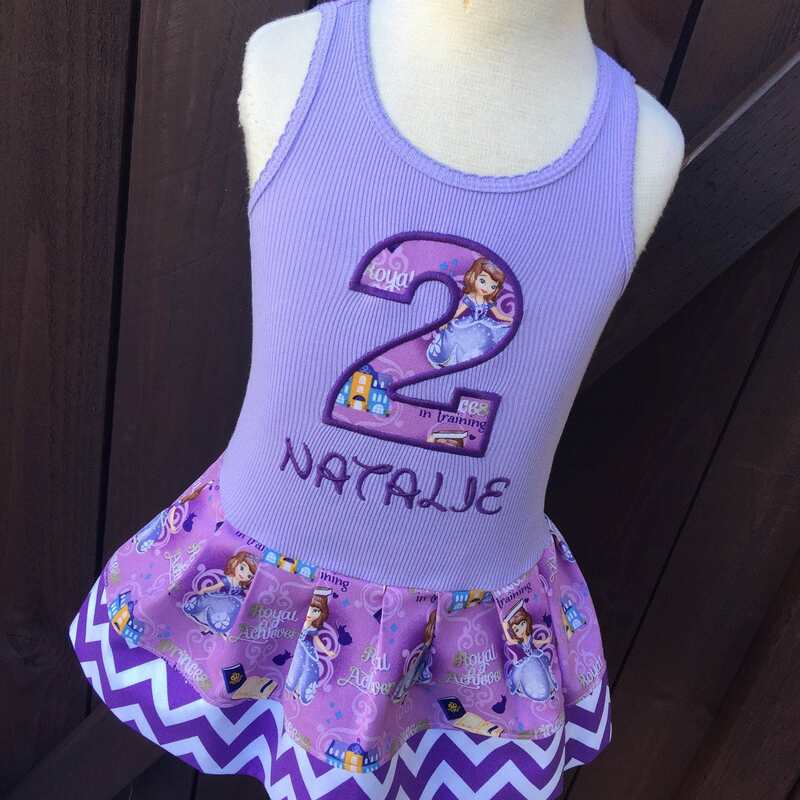 Sofia the First, Dress. Princess Sofia Dress. THIS LISTING INCLUDES THE DRESS IN PICTURE 1. Tank Style Dresses run very true to size. The tanks are ribbed so they will stretch or conform to the shape of your child. We can do just a heart applique on the dress with Princess Sofia featured if you are not celebrating a birthday. Please remember to state all details at checkout including date needed by if this is for a special event.